This project began January 1, 2002 and was completed December 22, 2006. As a process of disengagement from a lost love, I maintained a daily ritual of smoking a cigarette and burning a hole to document my efforts to make my feeling ephemeral. 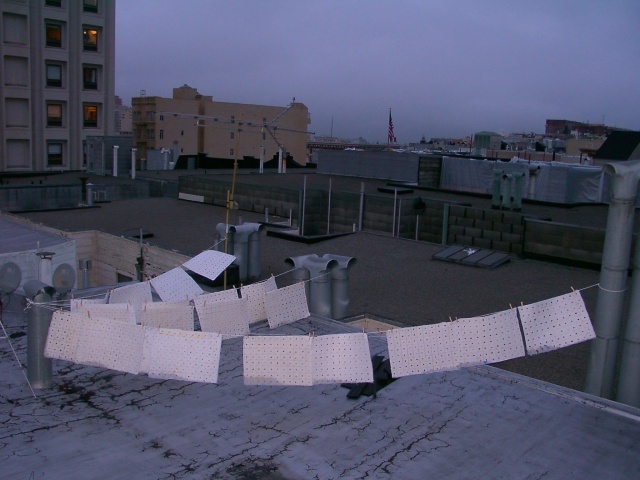 Here the work is shown as displayed on a gallery's rooftop in San Francisco. For three weeks the papers decomposed from the sun and rain.